Volatility remains a key word within the UK grain market as daily market news and currency levels are reflected in the everchanging ex farm prices. The news of Ensus bioethanol plant closing pushed prices down £5.00 per tonne. 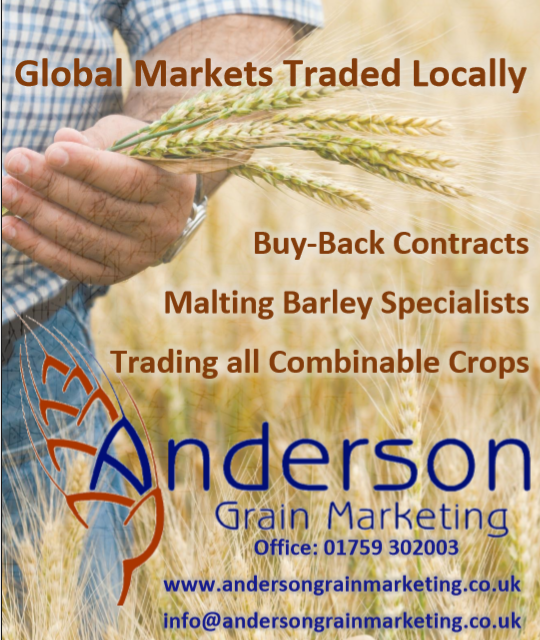 Sterling weakens against the dollar and America manage to get a toe hold of some sales to the World’s largest grain importer Egypt and the market rallies on the London Liffe Wheat Futures to the tune of £3 per tonne. Within the daily changes long term trends appear. Slowly but surely the value of ex farm UK feed wheat slips ever lower. The big news stories of bioethanol closures and large feed grain import levels weigh more heavily on the market than the smaller news items of daily currency movements, Southern hemisphere crop reports, news from Russia and American crop export figures. We see also changes to the level of premium being attached to UK milling wheat. The closure of one of the UKs largest flour mills in Southampton is forcing southern milling wheat up the M5 & M6 motorways into the Midlands, Manchester and Liverpool with the consequent knock on of a reduction in premium for Yorkshire based milling wheat. Whilst this may all seem doom and gloom let us not forget that it is still possible to sell 2018 crop wheat at levels significantly above the seasons average. As we move through towards the second half of the marketing year it is important to note that the average of the May 2019 Liffe Wheat Future from the day it first traded until now is currently £158.84. With this in mind a little perspective is required when offers to sell feed wheat on an ex farm basis at levels around £175 per tonne for the months of May/June are available but refused. To quote the oft used trading phrase, ‘Tops and Bottoms are for fools’. Looking further ahead to harvest 2019 new crop, the November 2019 Liffe Wheat future thus far averages £152.87 since it came onto the trading screen in June 2017. Levels that two years since would have brought instant farm wheat sales now get barely a second glance as short-term memory plays tricks on perceived value. The Northern Hemisphere has had a stunning autumn drilling campaign. Dry seed beds and an extended weather window allowing wheat to be sown following large areas of root crops, means that the crop currently in the ground has potential to be very large indeed. Values for November 2019 wheat sales at £155 appear to be supported only by the levels currently being traded for the 2018 crop. If as currently seems probable the ‘Trend’ of the UK 2018 harvest ex farm wheat price is to keep falling through towards the end of this marketing year, then you can be sure that with a very large 2019 crop in the ground, the price of it will fall also. To be successful in all things you need only to be better than the average. It is important therefore not to be blinded by what has just gone before.